We are going to start from the "square base" since the origami frog is based on this square base. This "square base" has been used for many origami models, so you should get familiar with it. 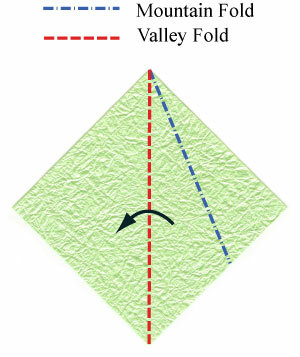 From the square base, prepare to valley-fold and then unfold it. Convert the crease line of the frontmost layer made from the step #1 in a mountain-folded one. 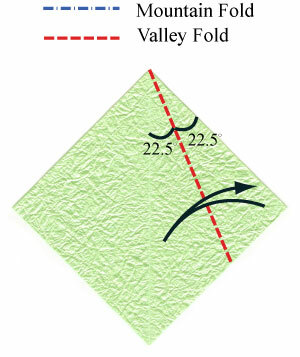 Then prepare to valley-fold along the middle vertical line.